Signed by famous maker, "Baker" from their renowned "Historic Charleston Collection," a linen chest or dresser has a deep oxbow curved front and is about 20 years old. The design is classic Georgian with carved block feet. Mahogany with a banded top, the renewed finish is in excellent condition. 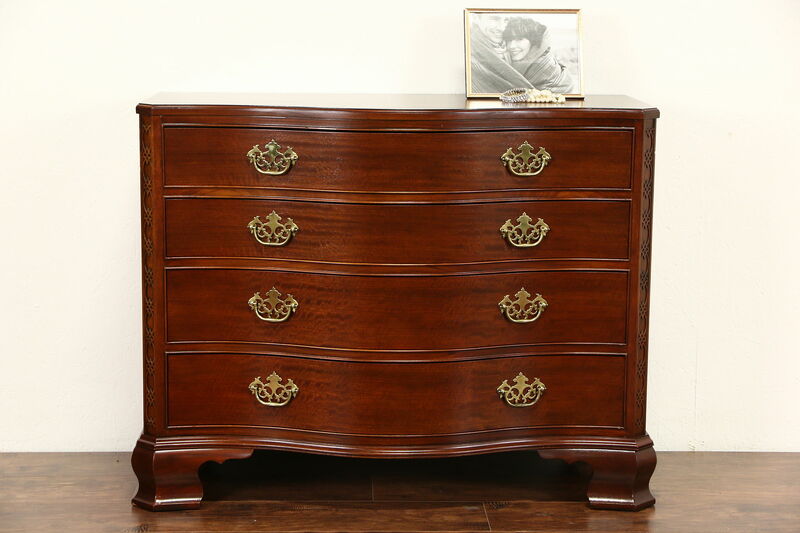 Drawers have curved fronts, solid oak sides with dovetailed joints and heavy weight brasses. American made vintage furniture, size is 42" wide, 20" deep and 33" tall.